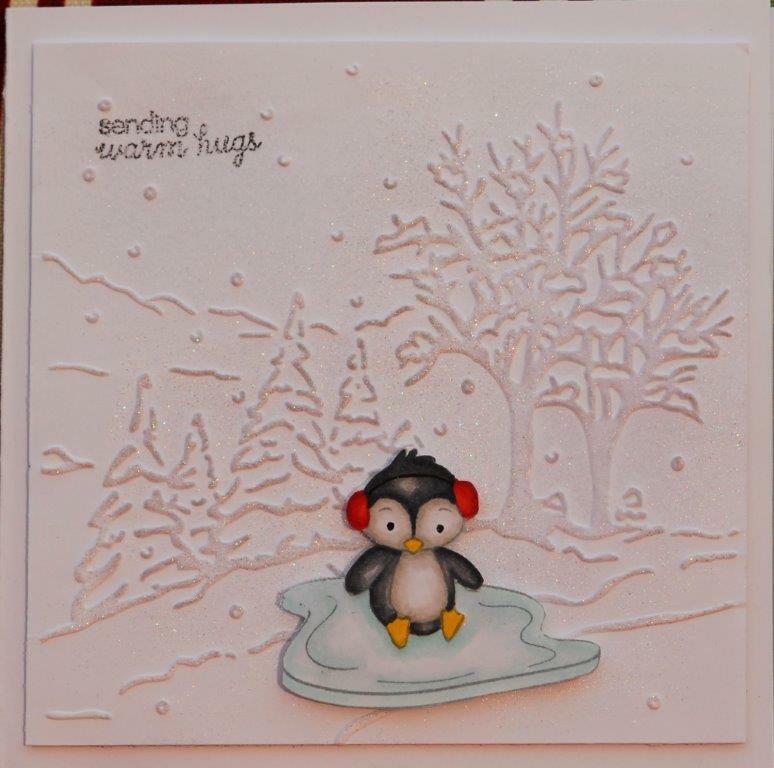 Today Sandra and I decided to challenge each other to create a Christmas in July card. Sandra created a cute little scene with a penguin. The penguin is not a surprise coming from Sandra. She does love her critters. What is a surprise is that Sandra put glitter on her card! I can’t believe it, as she HATES all things glitter. 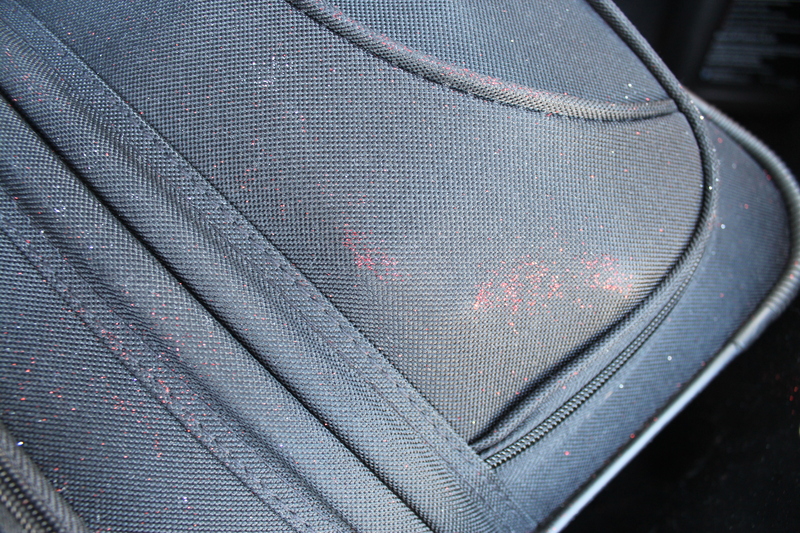 To show you how much she hates glitter I will post the hate photo she sent me of her suitcase that ended up with glitter on it, because it was packed beside a glittered bag in my trunk for the drive home from Phoenix. I think she wanted to be compensated for damages, but I just ignored her. Anyway she made a great card and although the glitter is hard to photograph, it does add a nice touch. For me, the operation was successful………..but the patient died. It needs to go in the round file………….but as it was a lot of work. (which included enlisting Dennis’ help in altering some Tim Holtz broach pins into fridge door handles) and a cute idea in my head, I am posting it anyway. I may give this Christmas card to my bunny……………………he deserves it. I would have swap out the hamburger for a Pansy sandwich though. Posted on July 21, 2015, in Challenge Entries, Debbie's Challenge Entries, Felix (Sandra's) Card Samples, Oscar's (Deb's) Card Samples, Sandra's Challenge Entries and tagged challenges, Christmas, Copics. Bookmark the permalink. 1 Comment. I love your funny posts :)…these cards are BOTH great! I love the coloring on the penguin, and you can see the glitter…glad she branched out! 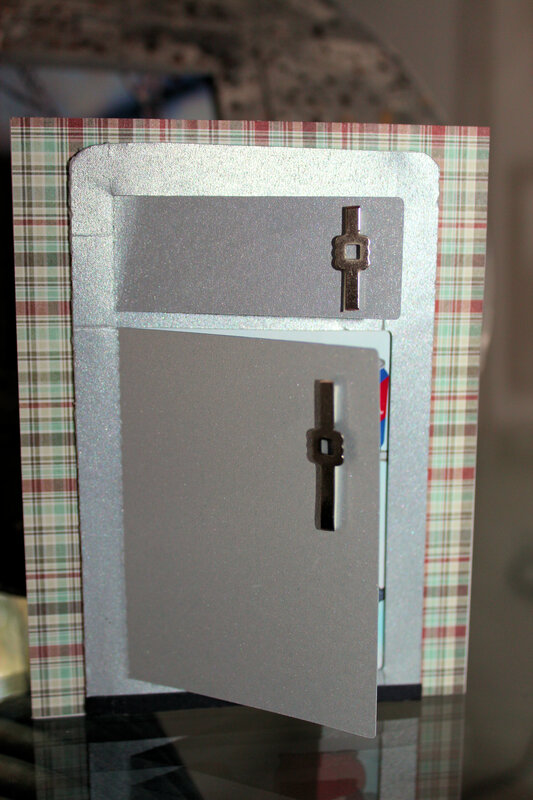 And the second is so adorable and clever…I love the idea for the door handles! 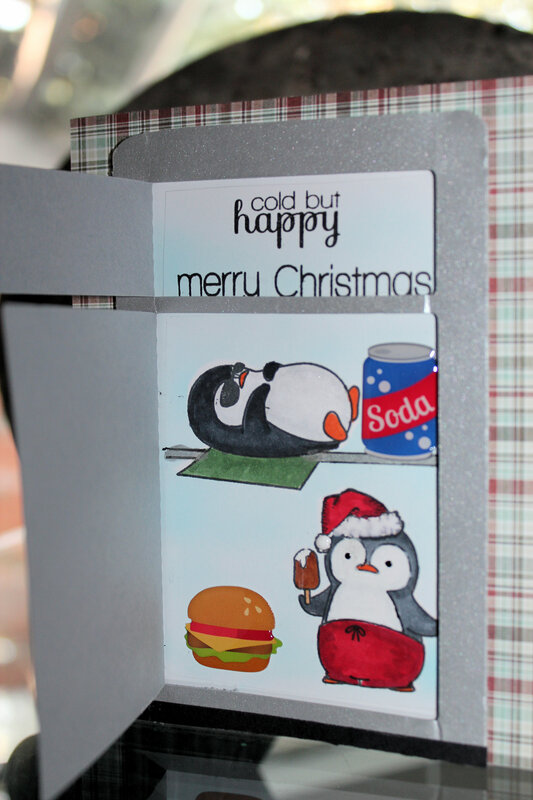 Who wouldn’t want to reach in for a soda and come out with a little penguin!